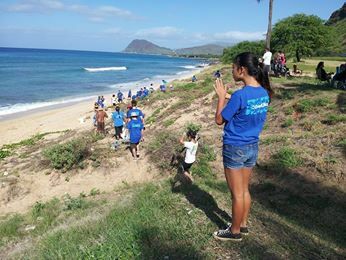 In June of 2011, Mālama Learning Center officially "adopted" Piliokahe (Tracks) Beach Park in Nānākuli under the supervision of the City and County of Honolulu Parks and Recreation Department. 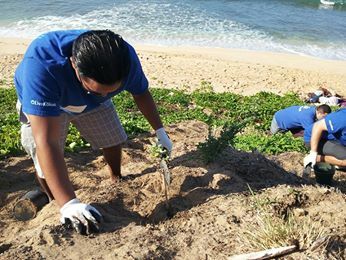 Our goal is to restore a section of the park with native Hawaiian plants to control erosion, beautify the area, and engage the community in creating healthy environments. In the process, community volunteers (students, teachers, adults, families) will learn about the natural environment and its ties to the Hawaiian culture, while building community pride and respect for the ʻāina. 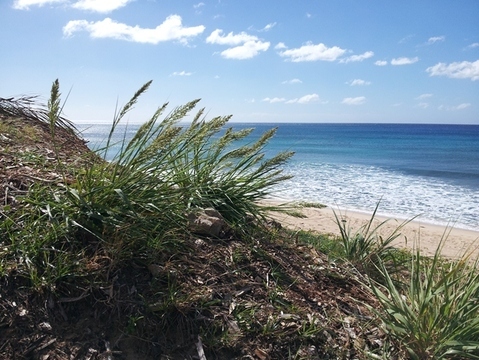 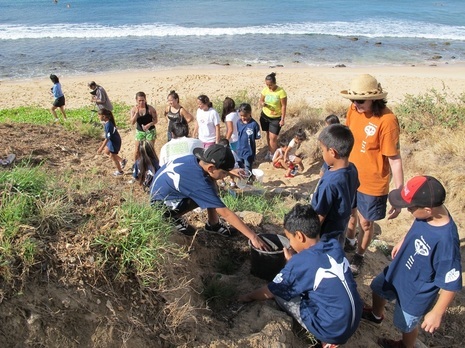 Piliokahe Beach Park is an educational site that engages the public in native ecosystem restoration in connection with cultural preservation. 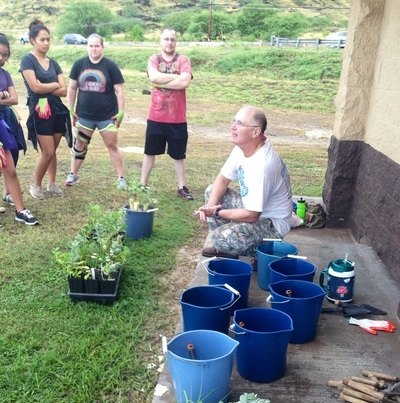 Many thanks to the many supporters who have volunteered over the years, including native plant expert Dr. Bruce Koebele, who has spearheaded many work projects to beautify this special place. As part of a NOAA Marine Debris grant, we collected data from marine debris shoreline surveys from January 2016 to April 2017. 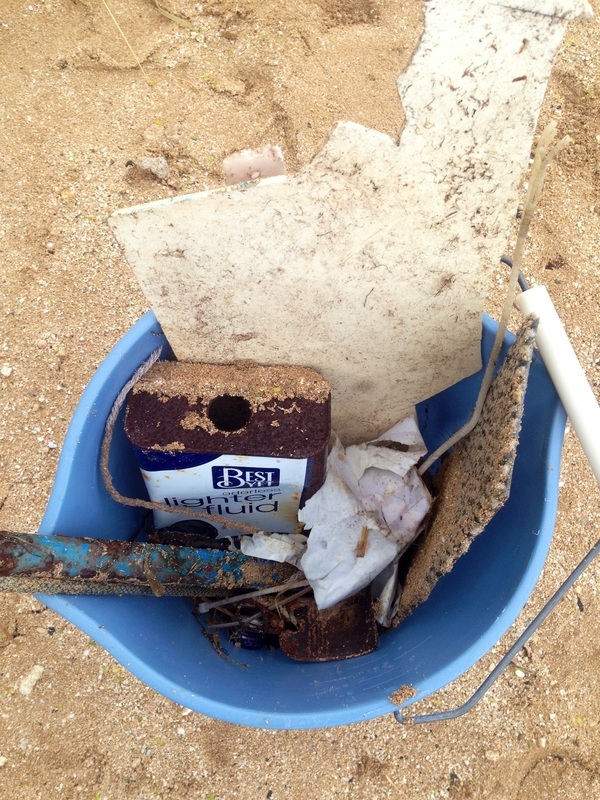 Please contact us if you are interested in seeing the data. 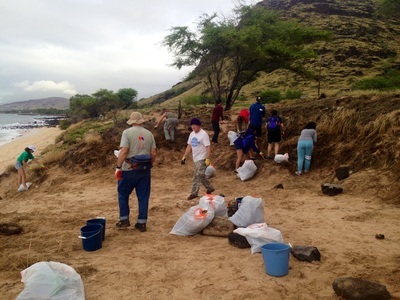 Individuals and groups are invited on our work days (usually Saturday mornings). 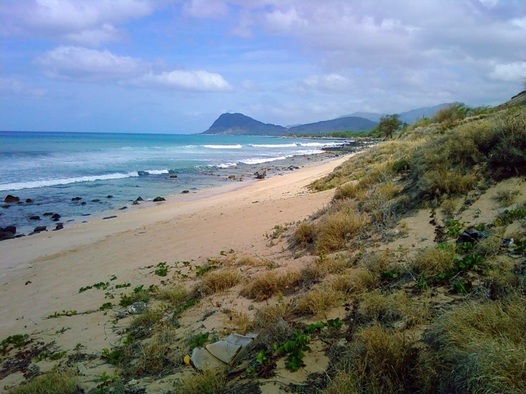 Children are invited if accompanied by adults. If you'd like to volunteer, please contact us at 808-305-8287 or email chelsey@malamalearningcenter.org. 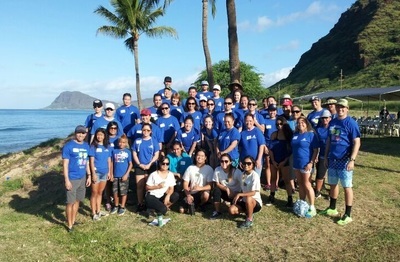 This project is made possible through the support of the City Department of Parks and Recreation and Nānākuli-Ma‘ili Neighborhood Board, Funding from Hawaiian Electric Company,and NOAA Marine Debris Program have supported our work, along with the many hands of volunteers. 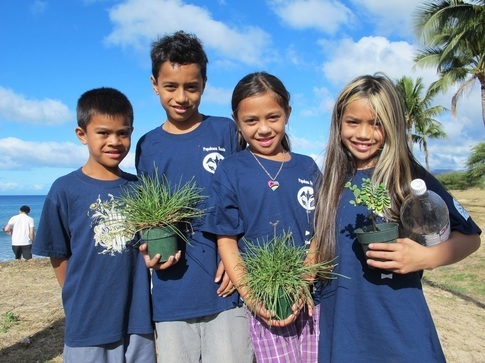 Beyond the Malama, What We All Can Do to Care for the Environment from Malama Learning Center on Vimeo. 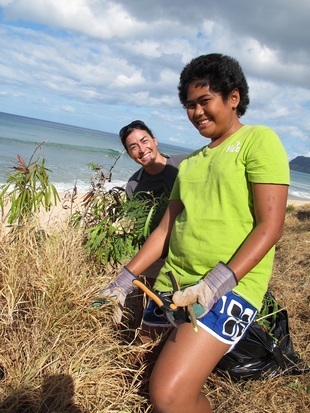 Our work at Piliokahe continues, thanks to many volunteers. 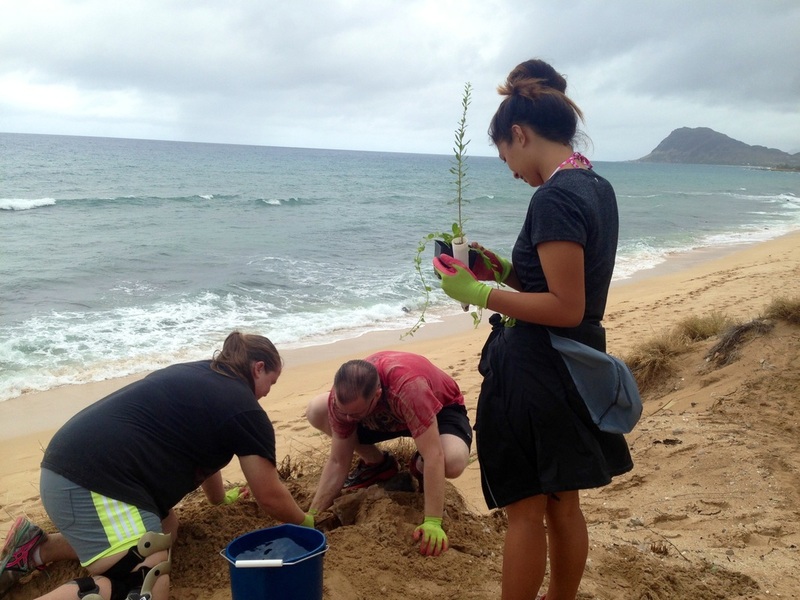 This video created by Kapolei High School's Visual Media program shows volunteers from the Disney 'Aulani Resort bringing some malama to this beautiful site not far from their workplace. 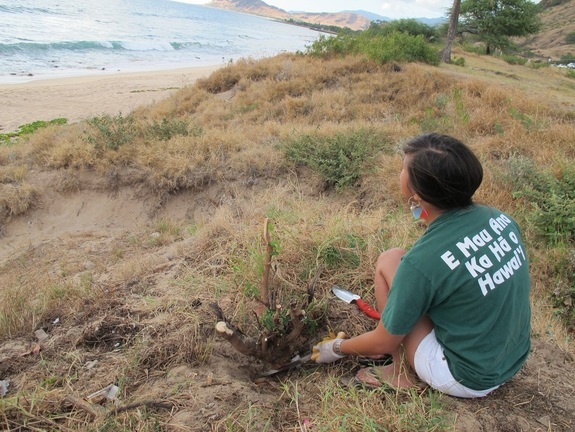 We thank them for their kokua and welcome more volunteers to join our community workdays.